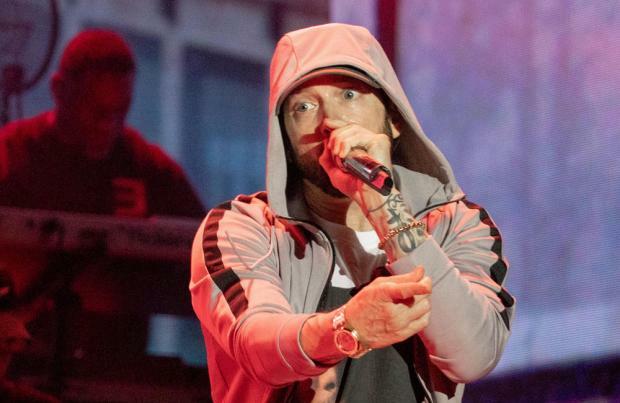 Eminem thinks Tupac Shakur and The Notorious BIG's rivalry changed rap music. The chart-topping star was a fan of the popular rap duo, and he's admitted to having split loyalties at the height of their feud in the 90s. He told SiriusXM: "The Tupac/Biggie thing was tough because you like them both, and you're just stuck in this weird thing where you're bumping the Tupac diss record, then you're bumping something from Biggie that might be dissing him in it." Eminem admitted that Tupac and Biggie were huge influences on his own career. And he remembers thinking that Tupac's attack on his rap rival was particularly vicious. He said: "That, I feel like, was the first time I ever heard anybody get that personal on a diss because it was definitely – most of it, majority – was personal, below-the-belt jabs and s**t, but it was done so well, and the record was just co crazy." Earlier this year, meanwhile, Eminem denied dissing Drake on 'Lucky You'. The track was initially thought to be a shot at Drake, but he insisted he would never hit out at the rapper. Eminem said: "Nah, here's the thing ... Drake will always be in my good graces because he did something for one of my daughters that I will never forget, and he will always be in my graces. I like Drake. "What I'm telling you with these lines is I don't know what's real and what's not at this point."